I am not running away, in fact, I like chilli peppers. The spicier the merrier. 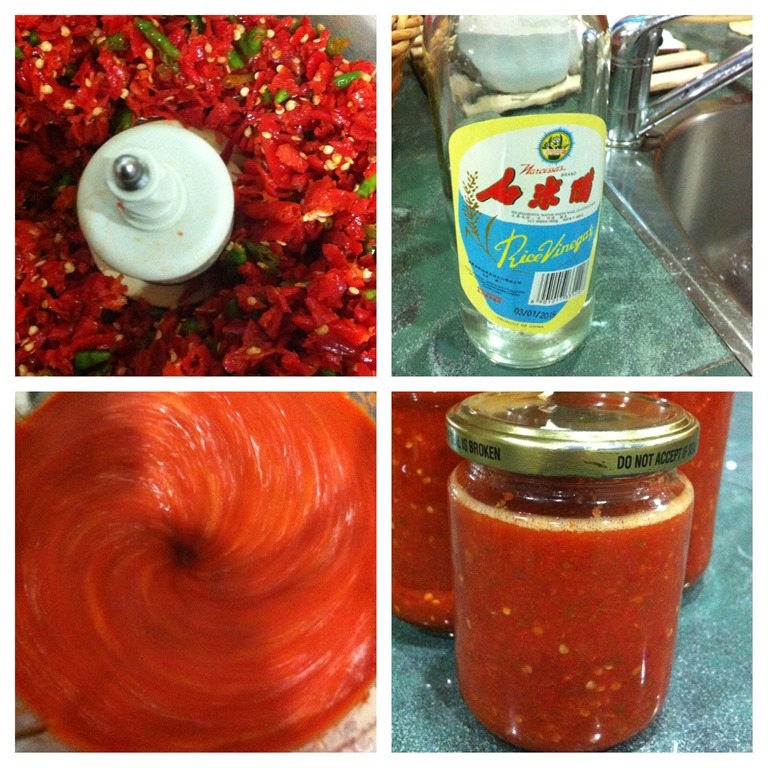 I like to make my own chilli sauce, I will find the spiciest chilli I can for the making of my chilli sauce. 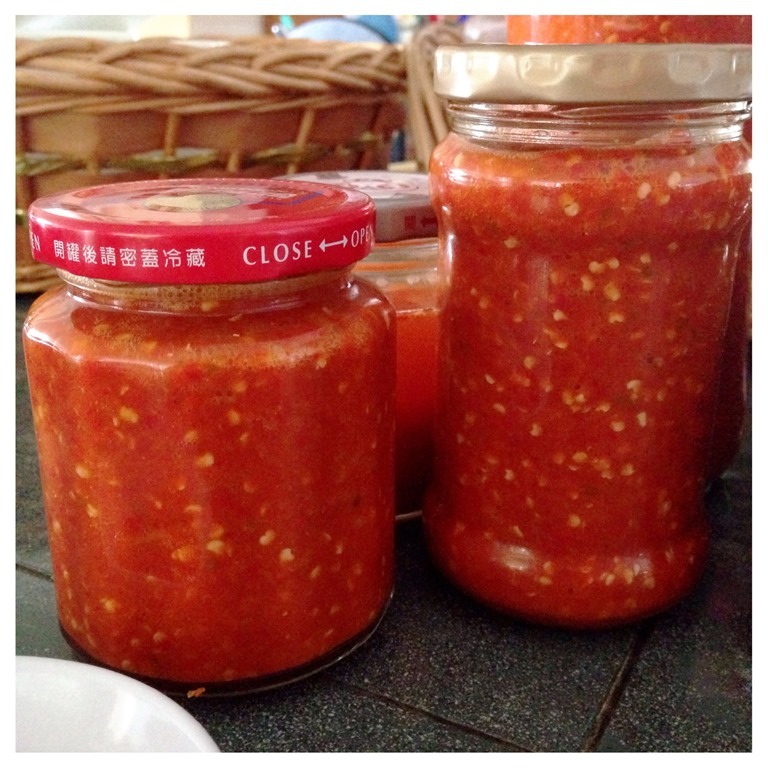 I have to make my chilli sauce at least 3-4 times a year making and average out using about 1 kg of chilli each time. 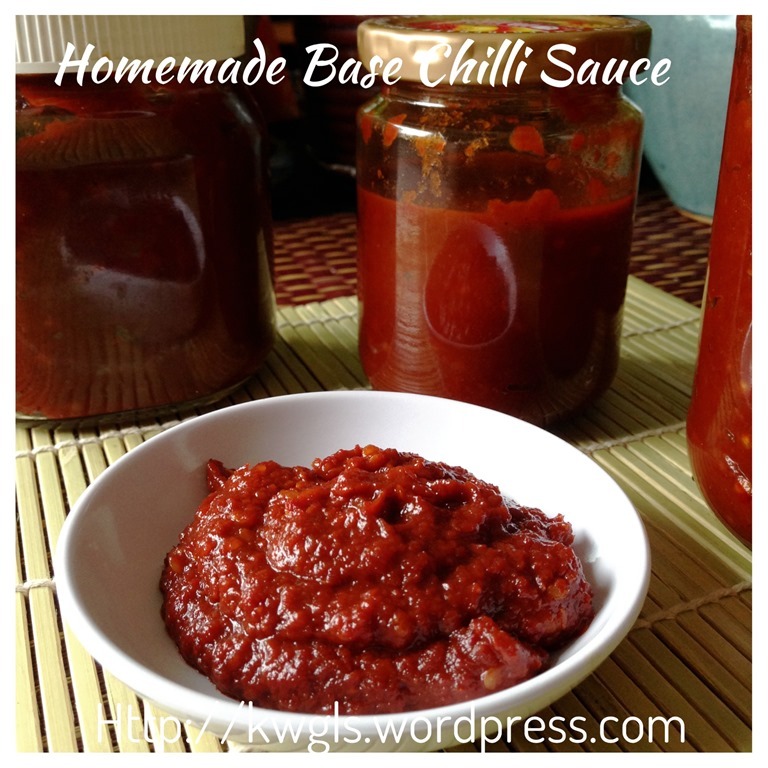 I usually prepare my chilli sauce in its base form. Thereafter, I used it for a dip or for cooking. When I do not have appetite to take my meals or when the meals is not tastier, yucky, one scope of my chilli sauce will help me to finish the entire meals. This post will have 3 sections. 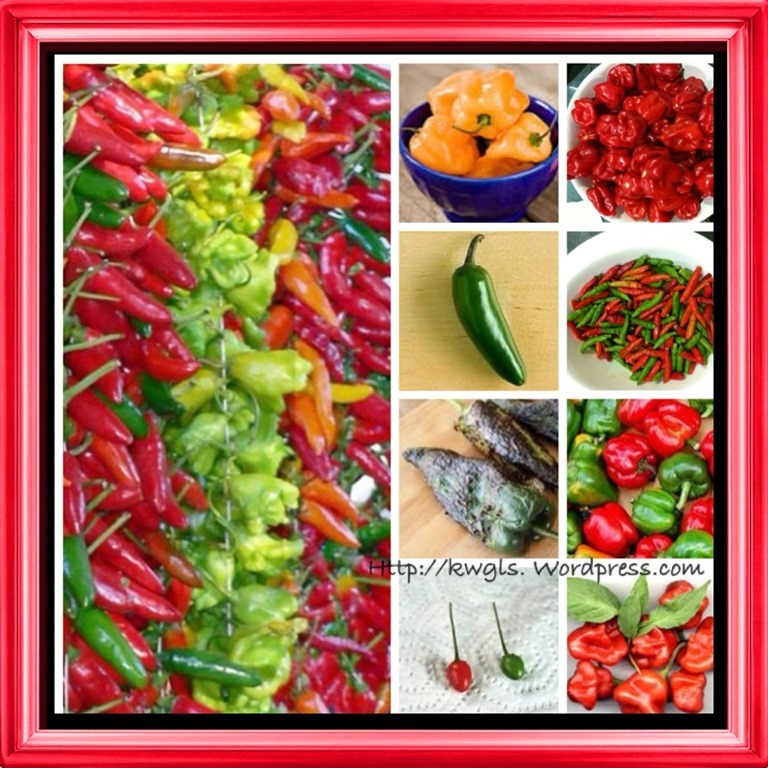 Section 1 – types of chilli that you can get in Singapore and Malaysia, and its spiciness. Section 3 – what will happen if you have a chilli burn! It is rather common to hear that people (particularly man) comparing how well they can take the spiciness of a food. They will use the ability to take spiciness of a food as a measurement of “manliness”. However, pardon me, with no adequate knowledge on the objective measurement of the spiciness of chilli that they are eating, such argument usually ended up with boosting oneself without letting go individual own stands. Chilli’s or pepper’s spiciness, in fact can be measured by Scoville Heat Unit (“SHU”) that in turn measured by the capsaicin in a given species of the chilli. Lets learn some fundamentals of chillies as extracted from www.artofmanliness.com. 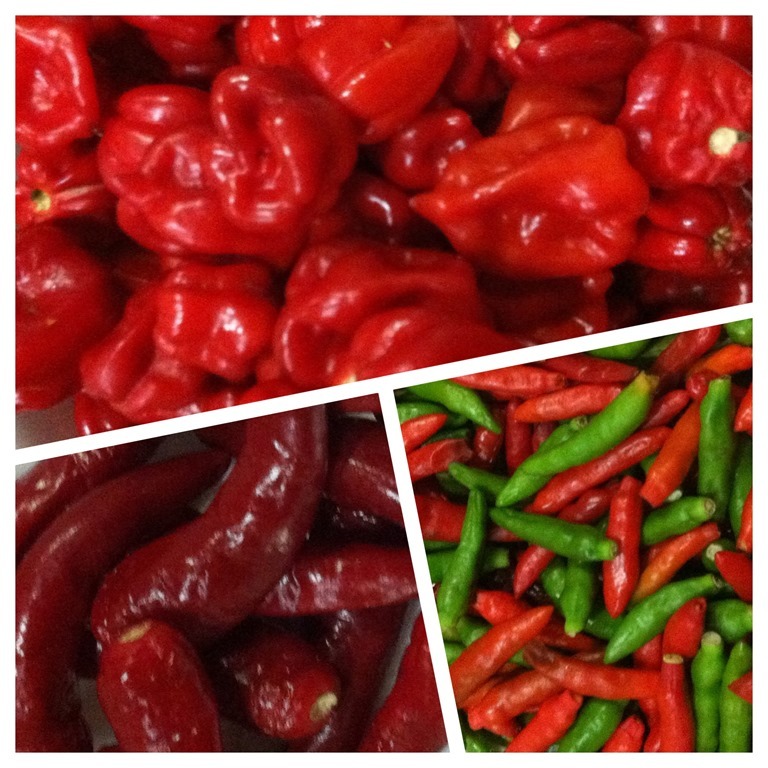 The picture below will show you various types of chilli and its spiciness. The spiciest chilli is called the Trinidad Scorpion Moruga Blend, endemic to the district of Moruga in Trinidad and Tobago, is currently the world’s hottest chilli pepper cultivated. According to the New Mexico State University, the Trinidad Scorpion Moruga Blend ranks as high as 2,009,231 SHU on the Scoville scale, making it the hottest chilli pepper in the world to date. 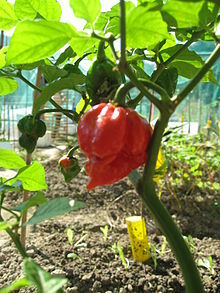 Paul Bosland, a chilli pepper expert and director of the Institute, said that, “You take a bite. It doesn’t seem so bad, and then it builds and it builds and it builds. So it is quite nasty. 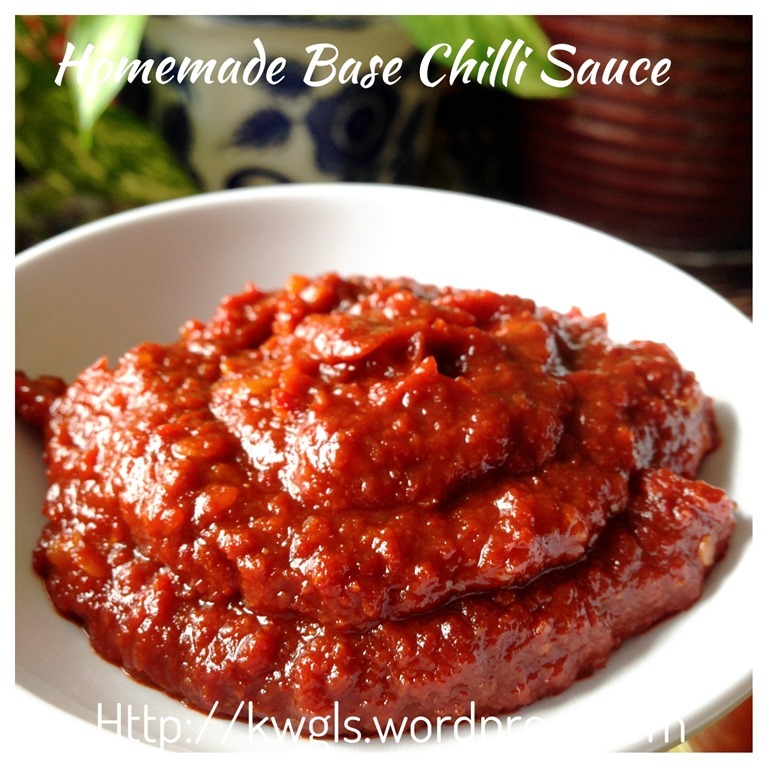 I usually prepare this chilli sauce in its base forms with minimal condiments or seasonings. 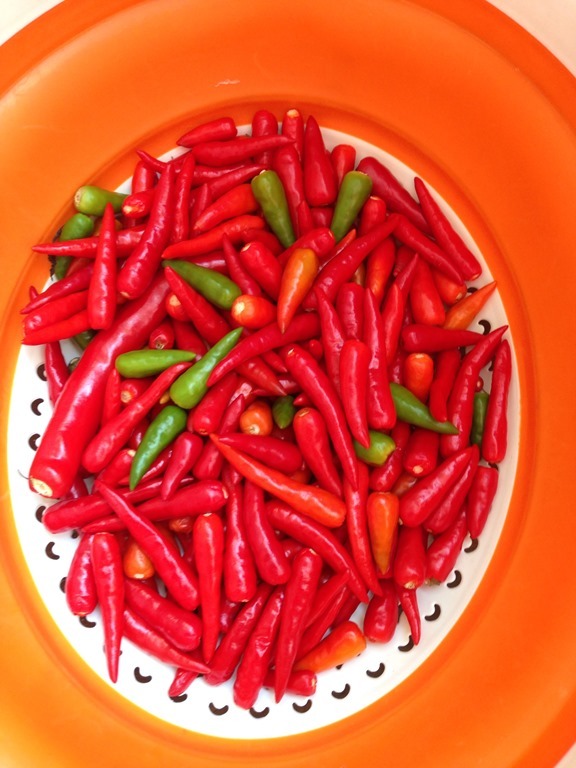 Vinegar and some salt is used to preserve the chilli and prevent it from turning bad. Some chilli of your liking and tolerance : I have brought these 3 types of chilli from Kuching, Sarawak when I walked by the wet market in Kuching. I was extremely happy to find some Habanero chilli (SHU: 350,000 units) and I have bought all the stock that the stall owner had. These Habanero chilli are rather difficult to buy and it is more costly than the other types of chilli. 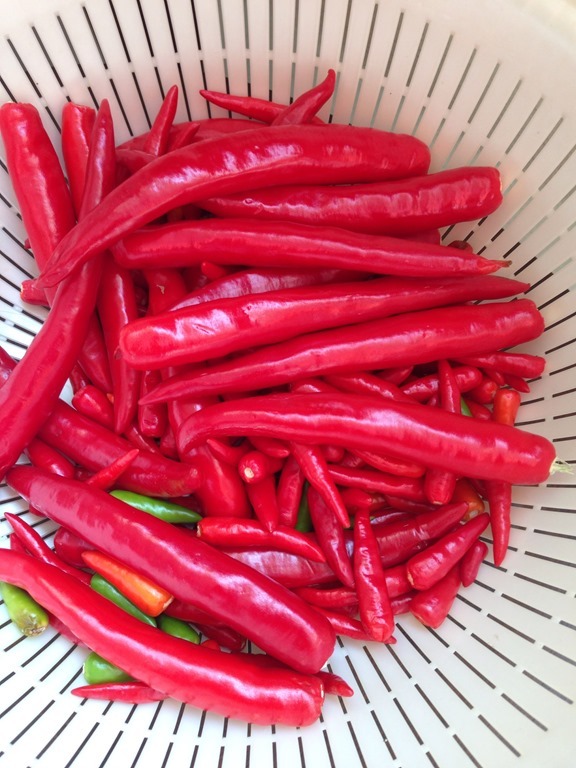 The other two types of chilli are Thai Chilli or Bird Eye Chilli (Chilli Padi in Malay Language) (SHU:150,000 units) and some rather common Cayenne pepper (SHU:60,000 units). White Vinegar – adequate to cover the volume of blended chilli. White vinegar serves as a preservative in this recipe. 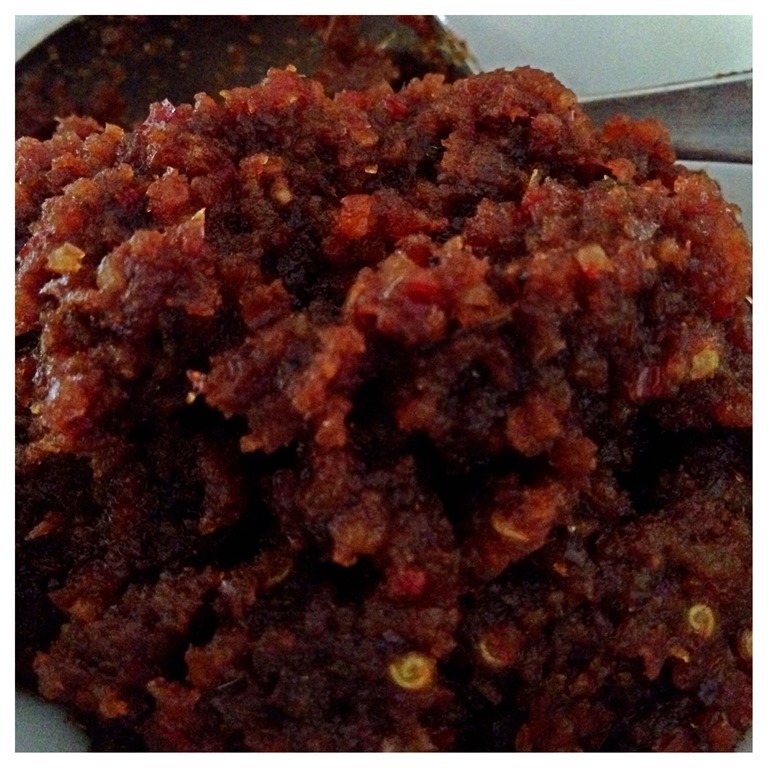 As the blended chilli is not cooked, in order to avoid the chilli paste from turning bad, white vinegar is used. Salt – to taste and its role is also act as a preservative agent. The steps are rather simple and basic. But one important point to note is that ALL INGREDIENTS, PREPARATION EQUIPMENT AND CONTAINERS MUST BE CLEAN. If possible, sterile your container with hot water but make sure that it is dry before you place the chilli sauce in it. This is to prevent the growing of bacteria in your uncooked chilli sauce. Wash all chilli and if possible, dry it under the sun. Otherwise, pat dry using a dry cloth. 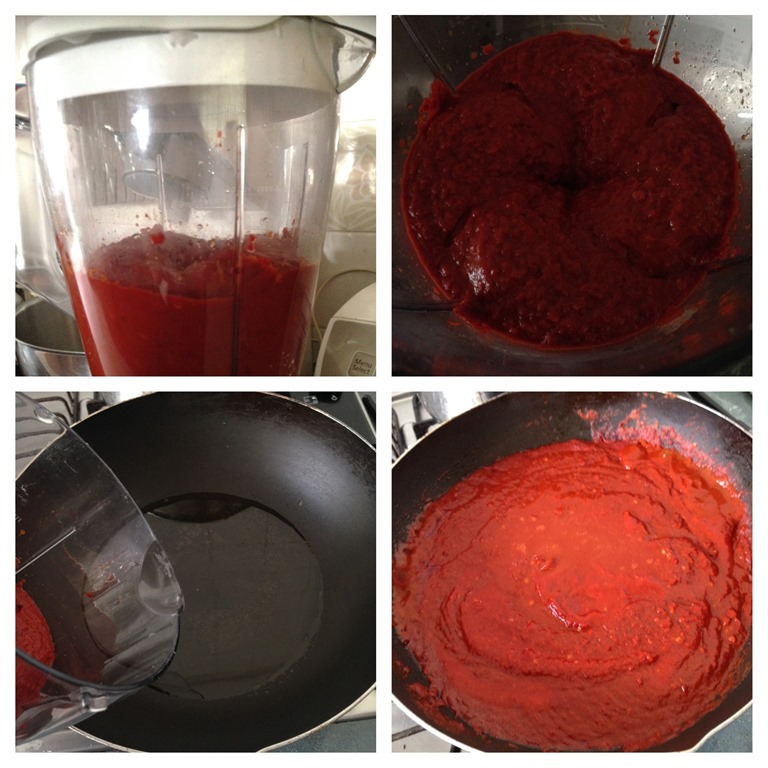 Place all dry chilli into a food processor and processed it until the smallest chunks possible. Note: If your blender is able to cut the chilli until the size that you want, you can by pass the use of food processor. Food processor is used here because Habanero chilli is quite big and it take quite it a while to cut it small, therefore, I opt to use a food processor and transfer into the cut chilli into the blender. 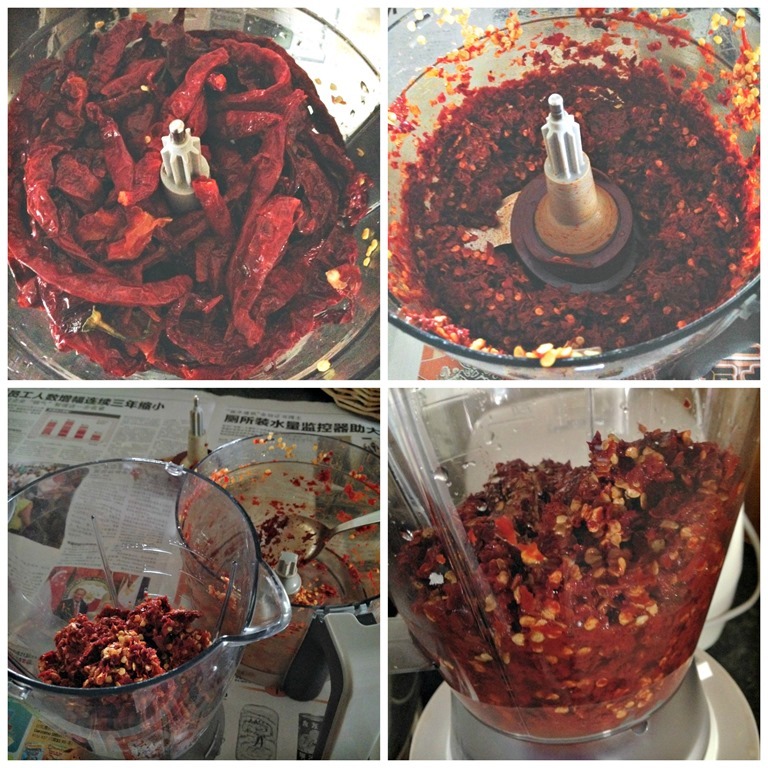 Transfer the chilli chunks into a clean blender. Add some salt and white vinegar. The amount of white vinegar shall be at least adequate to cover the chilli chunks. Blend at high speed until fine. If you do not want the chilli to be that spicy, you can tone down the spiciness by de-seeding the chilli. You will need to cut open the chilli and take away all the seeds before you proceed to the grinding. However, do be careful not to touch the chilli seeds as it can be rather difficult to get rid of the chilli heat. So, it is advisable to use a glove before you proceed with the cutting. This chilli sauce can be stored for at least half a year. But you have to make sure that every time you scoop out the chilli sauce, a clean dry spoon is used. Otherwise, the dirty spoon will introduce bacteria to the container and it will spoilt the chilli sauce. At times, you may not be able to get hold of lots of fresh chillies or when chillies are not in the season and become costly, I have used the dried chillies to prepare the sauce. 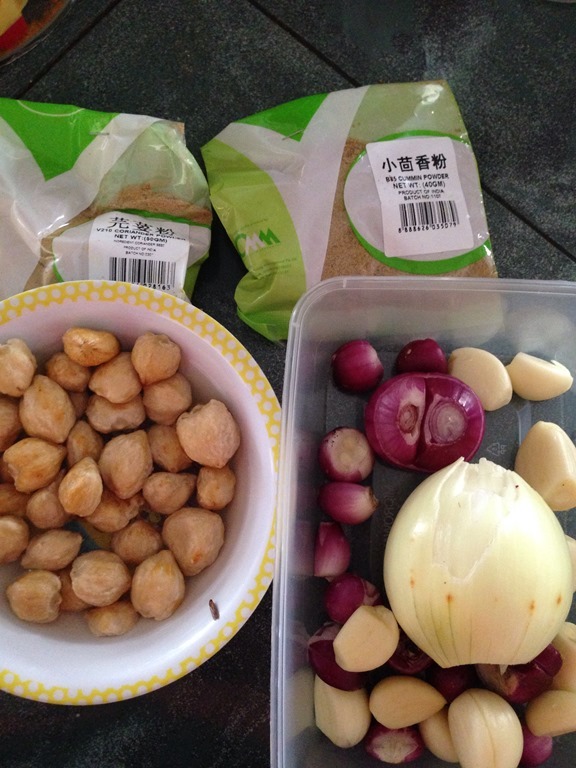 The preparation is slightly different but the taste is not the same as fresh chilli sauce. But the colour of the chilli sauce will be more attractive. 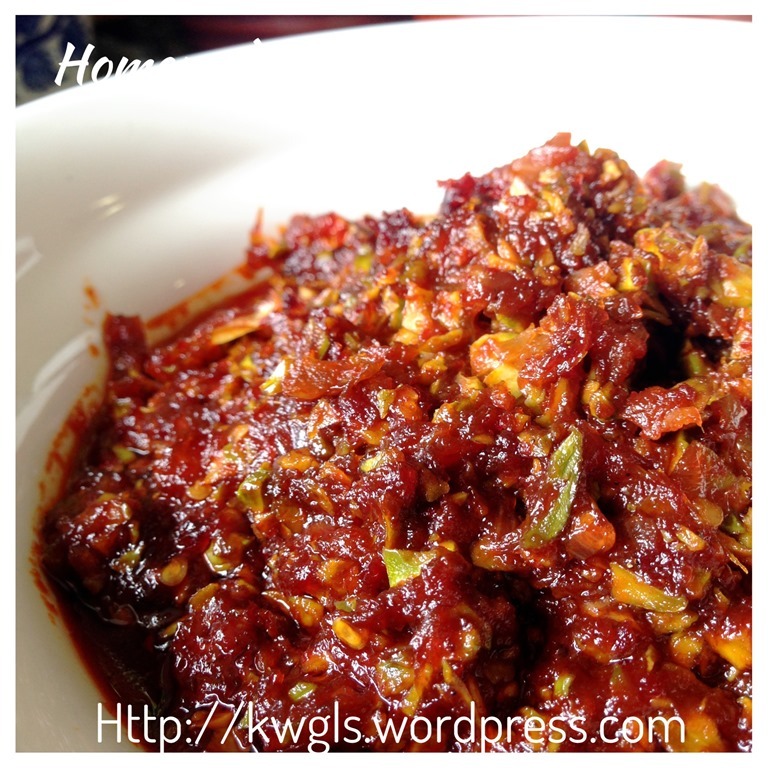 For this version, I usually cooked with the chilli sauce so that it can be kept longer. Soak the chilli until soft (about 30 minutes). 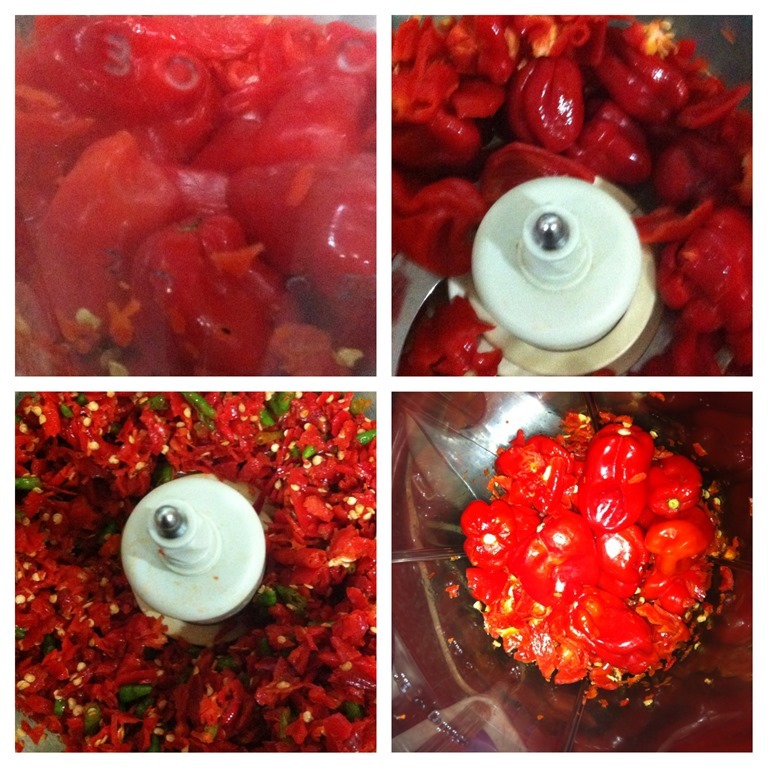 Use a food processor to blend the chilli until as fine as you can. For food processor, it is impossible to blend the chilli seeds, therefore, you will need to transfer the blended chilli to a blender. Add water just adequate to cover the chilli. Blend the chilli until the seeds are well blended. In a pot with a few tablespoon of cooking oil, stir fry the chilli sauce under medium heat. Stir fry until oil starts to sip out of the chilli paste, it become dry and aroma of cooked chilli starts to permeates the house. Add sugar and salt to taste. Off heat, transfer to sterilized container for cooling. Cool completely at room temperature before store in fridge. 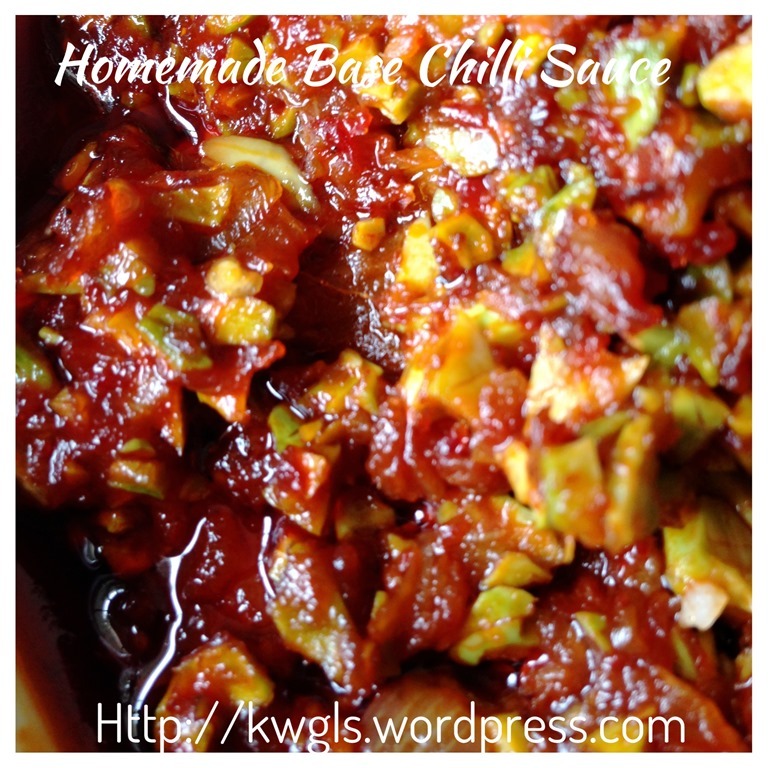 Variations of this chilli sauce are many. However, I like my chilli sauce to be as basic as possible. In the process of stir frying, you can add in the following ingredients to make it become chilli sauce for nasi lemak or etc. : shallots, garlics, lemon grass, shrimp paste (belachan), buah keras. All this should be blend well and stir fry together with the base chilli sauce. 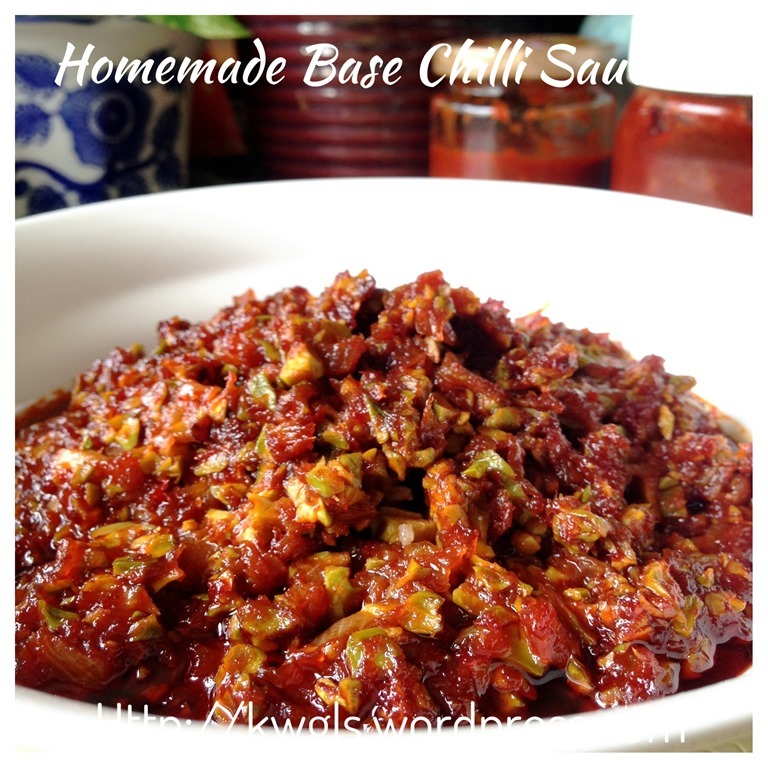 If you want it to be even spicier, you can add some chilli padi . 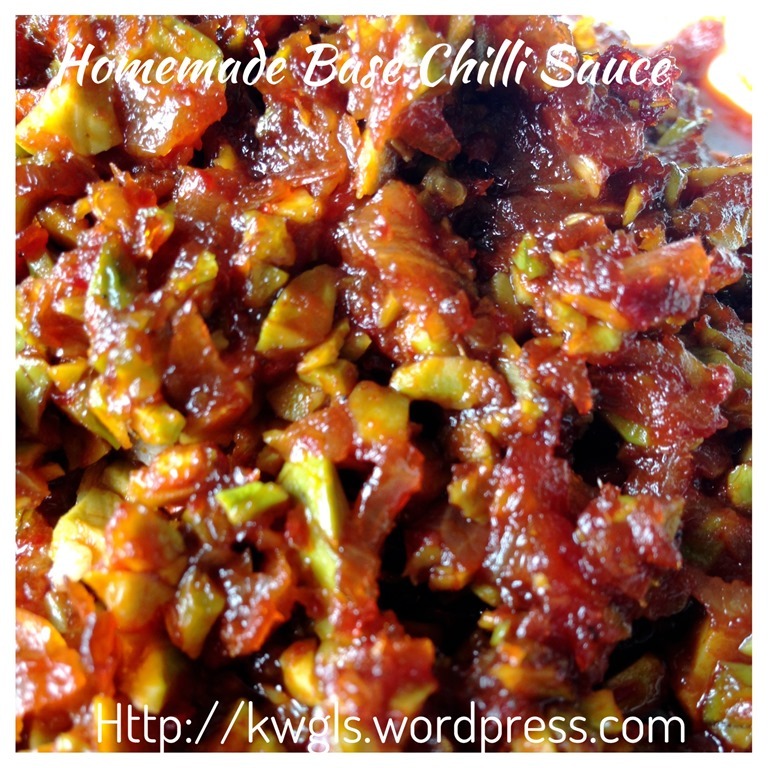 Uses of this chilli sauce: Can be used for stir frying kangkong or even petai as follow, cooking curry, as a dip (put belachan and calamansi), diluted with vinegar to go with Kuih Chap or oyster omelette etc.. Curry cooked with this chilli sauce will be beautifully coloured. For dipping purposes: Just have a tablespoon of vinegar or lime juice, add additional salt or light soya sauce, shallot oil and it will be good as a dip for fried fish and etc. I have used the base chilli to stir fry with some petai. Put some cooking oil, sauté onions, belachan and baby shrimps until fragrance, add petai and followed by 2-3 tablespoons of this homemade chilli sauce, add additional seasonings and the sambal petai is ready. 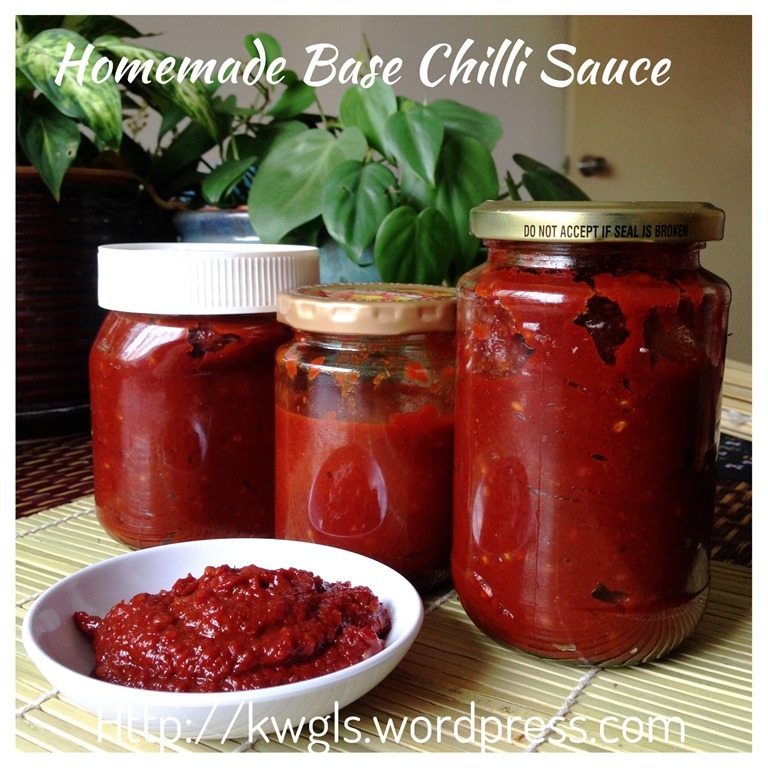 It may be unfair for me to share with you how to make chilli sauce without sharing with you how to take care of you hand. In my previous attempt to make chilli sauce, I have a very bad experience whereby my hand was “burn” for one whole night by the chilli residue while I was washing the blender and food processor. That day, as I was out of time, I have forgot to wear a glove or “plastic bag” when I washed the food processor. To make the matter worse, I use the same sponge to clean the other dishes for dinner. Almost immediately, my whole palm was feeling extremely hot and when I accidentally scratched my face, my face got the hot feeling too. I have used many methods but none was able to stop the heat immediately. It really make me panic as I never have such an encounter before. As I am extremely tired that night, I just cut a stem of aloe vera and applied to the “injured part”, and that make my hand felt slightly better. I fell asleep when I was waiting for the heat to subside and when I woke up, the hand is getting normal again. Wash your hand using cold milk – Milk have a protein called casein which is a natural “enemy” to capsaicin. The colder the milk, the better it is. This however, can be a wastage as you will constantly need to wash with new milks when the effect is less. Therefore, quite a lot of milks will be required. However, if you accidentally eat something spicy, this is a good way to reduce the chilli burn in your mouth. My kids can testify this, haha!! Wash your hand with hard liquor or any other types of alcohol. Capsaicin do not dissolve in water but dissolve in alcohol. Drink some alcohol may help with the burning sensation in your mouth. Rub your hand with salt and slightly some water. The salt will scrap away the capsaicin that is in your hand. Alternatively, sugar can also be used. Finish off with a rinse of milk and soap. Wash your hand with oil. Capsaicin also dissolve in vegetable oil beside alcohol and casein. Wash your hand with vinegar (or some form of acidic solutions) and soaps. Bird eye chilli is not the spiciest chilli as what most Malaysian and Singaporean thought. The spiciest chilli now on Guinness World of Records is in Trinidad called Trinidad Scorpion Moruga Blend. It is about 13 times spicier than the Chilli padi and 33 times spicier than the normal cayenne chilli that we used for our normal cooking. 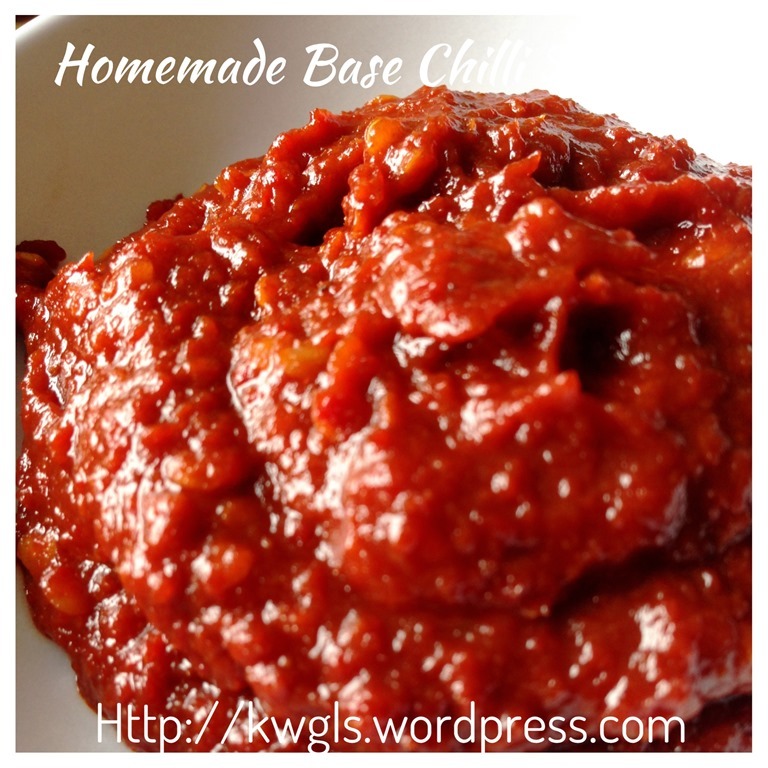 Making chilli sauce is not difficult. 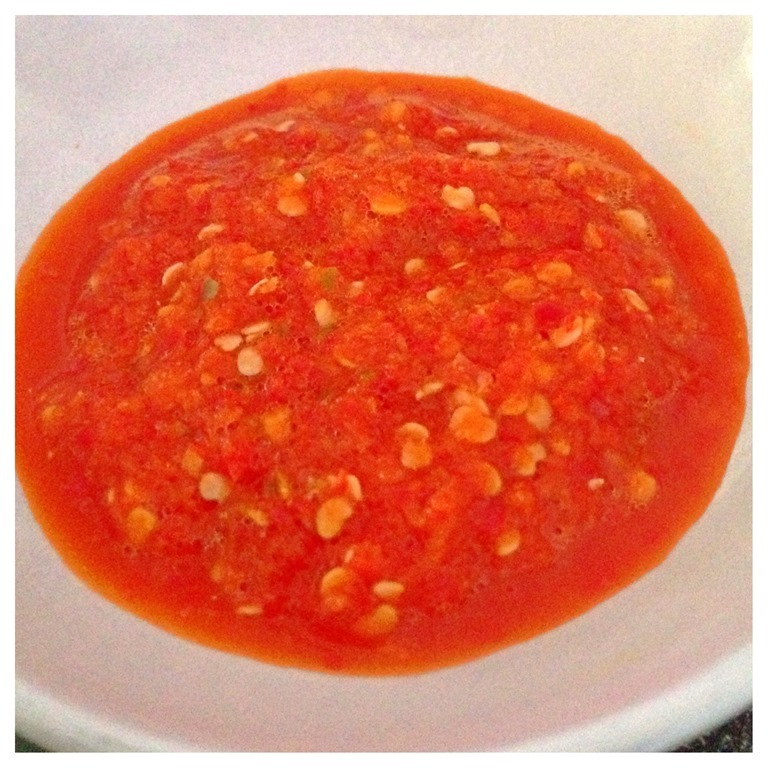 It is advisable to make chilli sauce in its very basic form. Add relevant seasonings and condiments for different type of dishes. 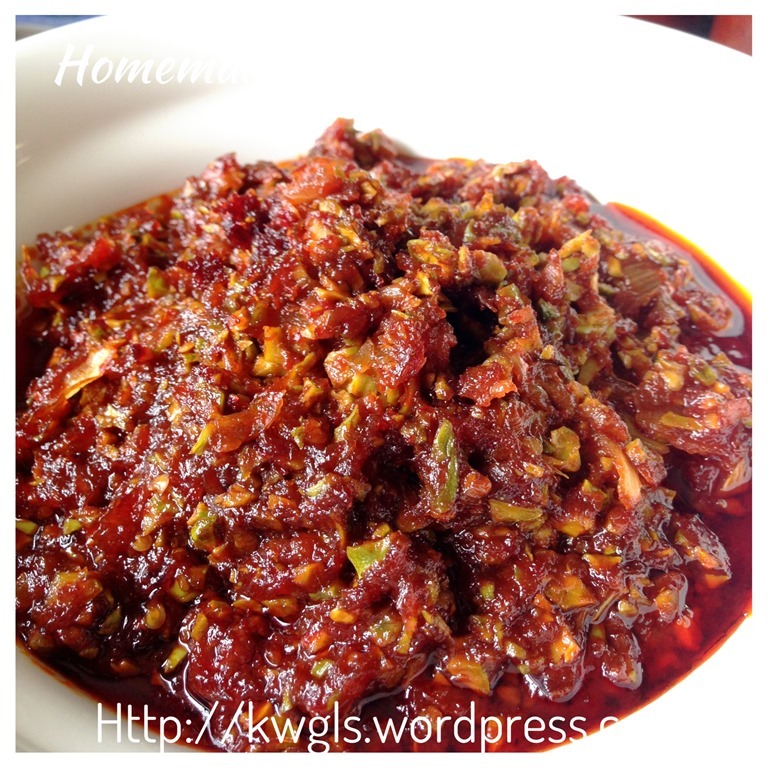 This will save your time in preparing different chilli for different dish. There is no one fixed way of getting rids of chilli burn in your skin or your mouth. The above 5 methods are common solvents (milk, vinegar, alcohol, sugar, oil) for the active ingredients in chilli, capsaicin. Dealing with chilli have to be careful, wear gloves if possible. 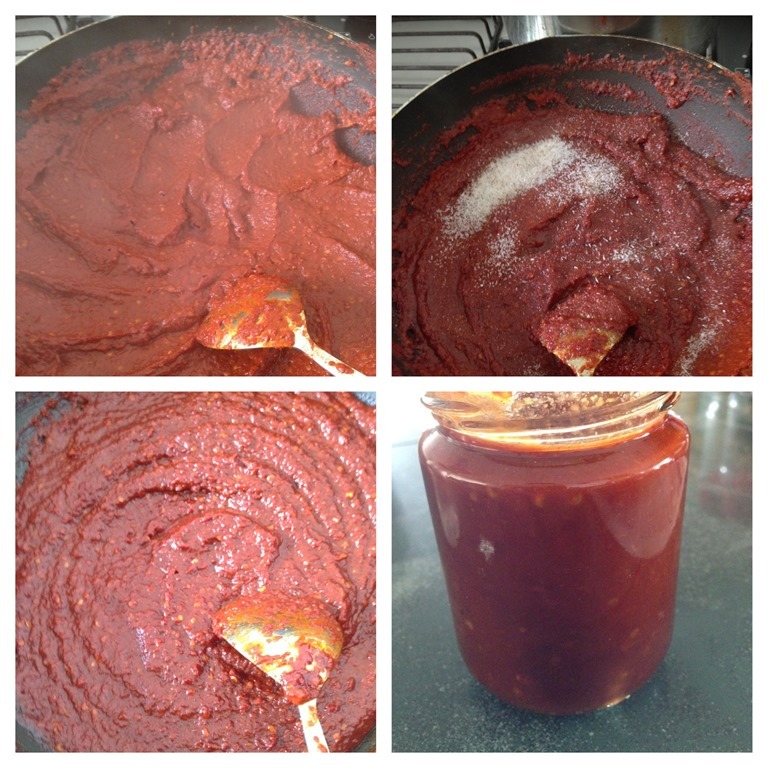 Washing of utensils used in the preparation of chilli sauce have to be extra careful. Capsaicin vapour will rush out when water was flush to the equipment. You may start to cough or your tears may flow when capsaicin reach your eyes and throats. Therefore, washing have be careful using slow water avoid touching the capsaicin. To reduce the spiciness of the chilli, de-seeding will help. Lastly, thanks for reading this interesting cooking ingredient commonly found in Malaysia and Singapore. This entry was posted in Dish, Food Preparation Series, Interesting Cooking Ingredients Series and tagged 8, 9, Bell, Bird, Blend, Bosland, Burnt, Capsicum, category, Cayenne, chilli, director, district, GUAI SHU SHU, Guaishushu, Habanero, Heat, Institute, kenneth goh, malaysia, Mexico, Moruga, Padi, Paul, Pepper, postaday, Sauce, Savina, Scorpion, Scoville, Source, Spicy, STATE, Thai, Tobago, Trinidad. Bookmark the permalink. Hi there, I am looking for a extremely spicy variety, like habanero to make curry or chilli paste but Singapore has very limited variety. Can u suggest where I can find them? Actually, I saw once or twice at NTUC Fair Price Extra .. It is not common at all..
Ken, I had those haberano, just cut a bit and put in soya sauce to dip. Very very hot. I can stand the Thin Thai chilli.